On Inflection Point, Lauren Schiller talks with women who have risen to a challenge, stepped up to create change and are ready to tell their stories. Every episode offers experiences and ideas you can apply to your own life. The show is part of Project Catapult, from PRX. With the Harvey Weinstein tsunami of sexual misconduct allegations, it has everyone asking, will this be the moment when everything changes? What can women refugees teach us about how to rise up? 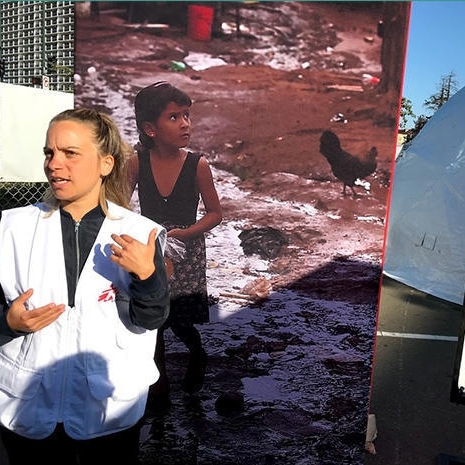 Christina Psarra, head of mission for Doctors Without Borders, a humanitarian aid organization, bears witness to their sacrifice and resourcefulness. Live from the Women in Product conference, you'll hear what surprised four female founders of tech companies about starting a tech company, and the pros and cons of being a female founder.